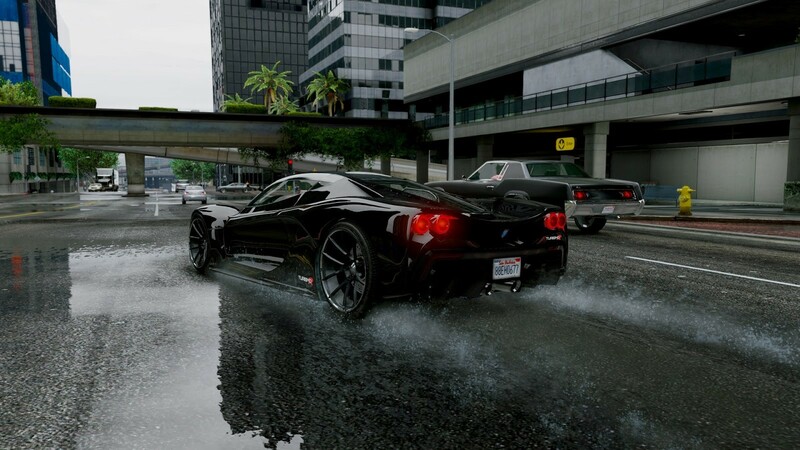 Grand Theft Auto V looked pretty good when it debuted on the Xbox 360 and PlayStation 3 two years ago, and the graphics were - as you would expect - even more impressive on the latest generation of consoles. Since the game's debut on PC earlier this year, though, fans have been eager to push GTA V's graphics even further - and one mod appears to have succeeded in upgrading the look of the game in magnificent fashion. The Pinnacle of V - World Enhancement Project is described as "not only a visual enhancement, but literally every aspect of the game has been tweaked, adjusted and fine tuned to create the most realist, stunning and immersive Grand Theft Auto experience to date". 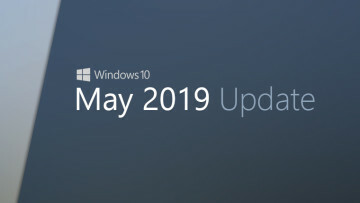 And the list of improvements is massive, with an incredible attention to detail - from a completely redeveloped weather system, including "photo realistic rain and puddles"; to a "massive" texture overhaul for 4K resolution; and richer lighting and shading effects. 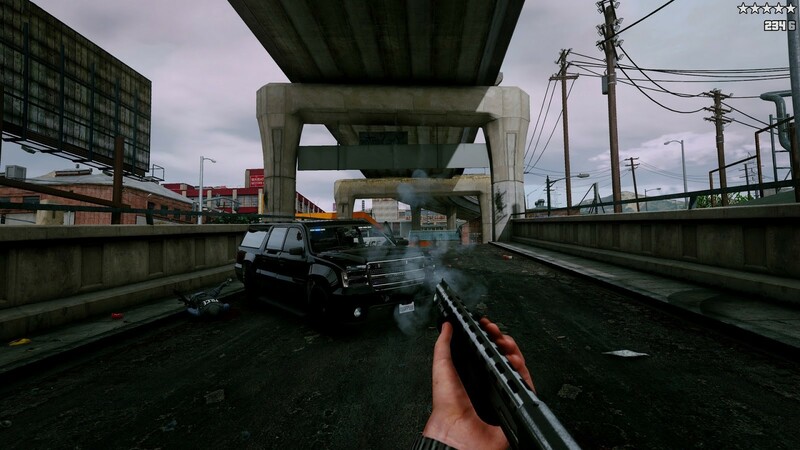 But the mod goes even further than just the visuals, including "100% reworked vehicle handling", and even "in game relationships have been edited between the police, gangs, animals, and the player". 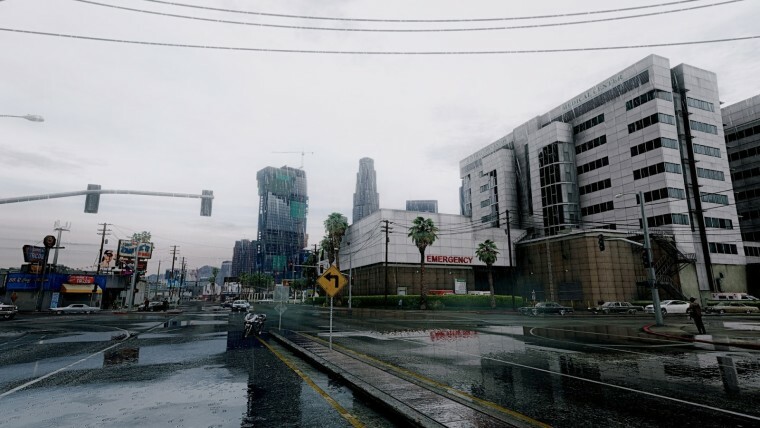 The city of Los Santos now feels more 'alive', according to the mod site, thanks to increased population levels, where appropriate to the area and time of day. And when the you-know-what hits the fan, and it's time for your guns to start blazing, you may well appreciate the modifications to each of the game's weapons. Among the many improvements listed, "bullets now travel at a realistic speed instead of being instant hit", and you can now shoot right through certain materials, including thin metal, wood and plastic. The Pinnacle of V is available to download now - if you give it a go, be sure to let us know how you get on, and whether or not it lives up to its impressive promise.